It is important to have gratitude in our lives. This means you show thanks for the things you have. Embrace every chance to pay thanks to the people, things, and places that contribute to your life in a positive way. We all appreciate things for a variety of reasons, but whatever the reason you value someone or something, it is just. We can be grateful for a variety of things that are unique to us as individuals, but we want to ensure that we are expressing our gratitude. Astrologically, there are things to be grateful for in every sign, here are 3 Reasons Why You Should Be Thankful for Your Star Sign! Every zodiac sign has great qualities. Hard-working: Anyone is lucky to have an Aries on board as their business ally. This is a very hard-working and career-orientated sign. Aries doesn't have limits. They don't stop. Aries takes charge, they have control and make excellent coworkers, CEOs and industry leaders. Friendliness: Aries leads with friendliness and philosophy. Often they can attract a lot of people and potential suitors because they give off this confident, loveable and fiery energy. Aries is often desired. Fun: When Aries isn't stressed, Aries is a really good time to take out or plan an adventure with. They are extremists who love to work hard and play hard. Aries brings the same "all in", "I'm the best" energy into everything they do, and often is the life of the party. Aries is up for adventure and is open to new things, new places, and new foods. Aries makes for an interesting and stimulating individual. Loyalty: There is no other loyalty like a Leo's. If they love you, they will never forget you. Leo can be flaky, and sometimes not always the best with making concrete plans, but when you really need them, Leo is there. Leo will be hopelessly devoted and faithful to the people they love. Leo is the type to defend you when people talk behind your back. If Leo sees something in you that other people don't see, Leo will enlighten others. 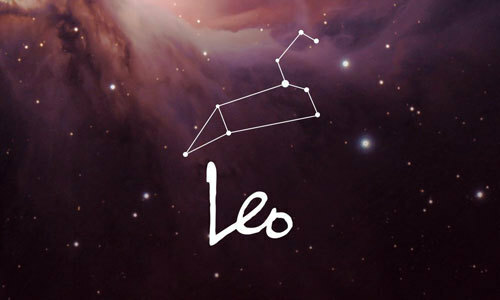 Passion: Whether extroverted or introverted, Leo has a great energy about them. They give a lot to their passions and really make things happen when they want to. Leo longs to be a part of things. They are not afraid to put themselves out there. Leo belongs in the limelight and loves to relish in all their life passions. Joy: If Leo loves you, they will fill you will kind words and endless affirmations. Leo will make you laugh and make you let go of the things that are bothering you. Leo makes for a great date and is often known for being the hit of the evening. Leo brings the love, and when Leo is in a good place, they are an absolute delight to be around. Leo has an energy about them that makes everything better. Adventure: Sagittarius doesn't like to be bored, so they are always up for a new adventure. They like to try new things and visit new places. Sagittarius is the traveler of the Zodiac, they love to fly, and if they don't love to fly, they at least like to see the world. Guidance: Sagittarius is usually good in a crisis. They don't react with emotions, they react with their brain. They are very business-minded and good at taking the lead. They have their own way of doing things, but it's often not bad. Sagittarius can teach you a lot if you are up to listening, but you will have to do just that, listen. Optimism: Sagittarius wants to look on the bright side. They'd rather see the good aspects of any situation. Watch as they easily flip your negative script into something positive. Sagittarius likes to win at all costs, and they don't like self-deprecating talk. They want you to be open and confident. They want you to be the success that they know you can be. Sometimes Sagittarius will live out their personal dreams through your potential. Coolness: Libra doesn't like to lose their temper. They like to be cooler than cold, "ice cold" for the most of it. They don't want to pick sides and don't want to hate on either of you when they love you both. Libra is not getting in the middle of it. Though they will listen, and they will be chill and understanding. Libra is usually quite happening and has a lot of friends. They are the type to know all the hip music and hot eating spots. They are lovers of the best food and the best people. Charm: Libra can make friends with anyone. They know how to work people, and often in the best way possible. Libra knows how to impress people with style and manners. Libra has a way with words, and connect with people rather quickly. If there is something that Libra really wants, they will get it. Libra's charm attracts people naturally. Character: Libra has a lot, which makes them special. They stand out in an admirable way. They will be hard to hate. Libra is diverse and has a lot of different things to offer. Libra can bring something to the conversation. They become notable characters who hold their own and attract suitors and fans. Visual: Gemini is highly visual and prone to noticing detail. They are excellent with aesthetics and putting themselves and things together. Often a lover of fashion or makeup, the Gemini has a flare to them. 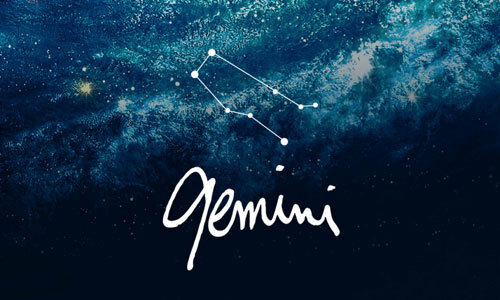 Gemini notices everything, and can easily spot flaws or that one hair out of place. Gemini has a vision of how things must go, and with a hint of perfection, they know how to create flawless beauty. Gemini knows how to make things look good. Wit: Gemini is mentally strong. They possess the gift of the gab and can carry themselves in conversations, and talk their way out of trouble. Gemini is quick thinking and readily has an answer, opinion or explanation. Gemini knows how to play with words, make jokes and communicate well with others. Duality: Gemini is a lot of different things living in one house. They have a lot of diversity to bring to any situation. They can be laid-back and easy going, or they can be wild, intense and tons of fun. Gemini is a bit of everything. They know how to switch it up with their style and their personality. One night they want to stay in and watch a movie, the other night they just want to party! Gemini has duality and can excel in many feilds. Friendliness: Aquarius is known for making and having a lot of friends. They don't let everyone into their emotional core, but they will give everyone a chance. Aquarius tends to see the good in people, and while they can gossip when they are mad, Aquarius is friendly with most people, including their EX lovers. Aquarius will have friends from all over the map, or at least from various friend groups. Genius: Aquarius is quite gifted. A lot of very intelligent people were born under this sign. Aquarius has the ability to be a masterminded success. 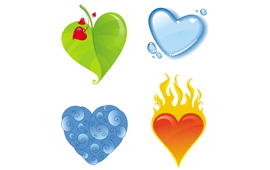 Aquarius can achieve a lot career wise, and often is more job-focused than love-focused. Aquarius does want it all, but the work stuff usually sorts itself out first. Don't worry Aquarius, you will have it all, it's just a matter of time! Eccentricity: Aquarius can be "one of a kind" in the most adored sense. Aquarius is respectably different. They have their own way of doing things, which people generally aspire towards or even copy. Aquarius might be referred to as the "the weirdo" of the Zodiac, but truthfully, they are the most eccentric and interesting creatures. Class: Capricorn is usually very classy. They generally even look classy, as they often dress quite sharp (sometimes expensive too). Capricorn wants the best from life and inspires others to want the same. If Capricorn sees your potential they will push you to achieve it. Capricorn has high expectations and is a goal-setter who always feels like they could be better. Good-taste: Capricorn is quality over quantity. They have very good taste and pick out the finest of people, positions and things. If you need to work on something, Capricorn will let you know what it is. Capricorn wants you to be the best version of yourself possible -- they will bring this out in you, even if sometimes it doesn't feel that way. Capricorn doesn't always sugarcoat the honesty of their love, but they do love you. Capricorn does not waste their time on people who do not matter! Drive: A highly motivated sign, Capricorn is the boss, or works their way up to being the boss. Capricorn is great in charge and works very hard. Capricorn sets the working example for others. They are already sizing people up, so they know exactly how you can improve. If they tell you, you are doing a good job, it likely is because you genuinely are. Capricorn respects hard work because they are very driven and give a lot to their professions and home lives. Loyalty: With the lowest divorce rate in the Zodiac, if they love you, Taurus will never leave you. Taurus will come to your defense on any given Sunday. If you forgot how awesome you are, Taurus will remind you. Taurus will tolerate you, and forgive you, and cherish you. Taurus makes for one of the best partners. They know how to build a family. They know how to be a rock for their partner--someone you can always depend on! Tenderness: Beneath the hard front, lies a very soft, sweet and tender individual. Taurus is very caring and has a big heart. They are the teddy bears in disguise. Tough for certain, but tender at the root. Taurus is very generous and loving. Strength: Taurus is durable, not much can outlast them. Taurus has the ability to keep going. Generally a hard-worker with a lazy streak, Taurus has a lot to give. Taurus can endure many things and still keep going. Taurus is a warrior. Very strong women live in this sign. Women who have made boys into men. Women who likely call the shots in their relationships. Intelligence: Virgo is one of the smartest signs in the Zodiac. They have a very strong intellect and great insight. This sign is strong-thinking, but you always want to know what they think because you know they will tell you the truth. Sometimes their sensible smarts will win the way. Sometimes it will provide you with an alternative way of seeing the situation. Virgo is often the voice of reason that you want to listen to. Critical-mind: With a sharp, critical, worry-prone mind, Virgo can find the folly in any situation. Virgo will see how something is out of place. They are very good at putting the clues together. Virgo knows how to crack the case. Virgo is a natural detective. Logic: Virgo is the master of common sense. They are very down to earth, exceptionally real and have the ability to find the logic in everything. Virgo is often confused by what is NOT logical. Things need to make concrete sense. Virgo is very rational and has a hard time understanding the complex emotions of others, but they will try. Virgo responses well to order and service. They like to make moves and achieve things through action. Virgo looks towards the "right" thing to do. They have a very strong moral compass and are not fans of doing the "wrong" thing. 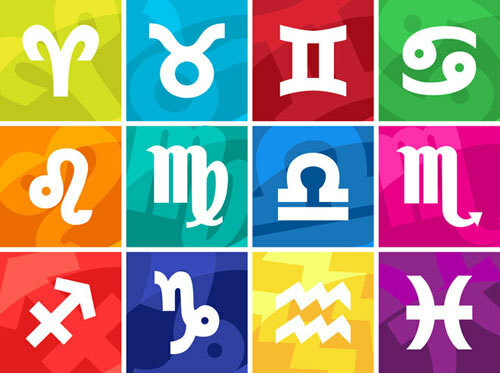 Smarts: One of the sharpest signs in the Zodiac, Scorpio knows how to keep up. Don't be scared to talk fast. Scorpio will impress you with their mental powers, and quote-worthy opinions. Scorpio will be the person that you want to share things with because they will get it and they will give back. Scorpio will be the best listener and give you the best advice. 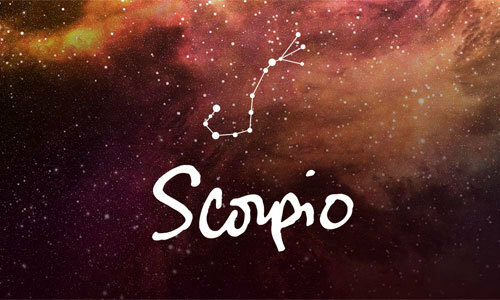 Plus, Scorpio can be trusted, so it becomes easy to tell them virtually anything. Intuitive: Like all water signs, Scorpio is very insightful and can read people from a mile away. Scorpio will know instantly if you are someone that they want to associate with or not. Scorpio usually suffers from trust issues, and they will not share things with you if they get the wrong vibe. Truth, even if they trust you, Scorpio is highly secretive and mysterious, they will still keep a lot of things private. Giving: Scorpio loves to help and is constantly giving to the people that they love. Scorpio will not take up your time, Scorpio will give you their time. Scorpio won't even ask for anything in return. They sincerely just want you to be OK. Scorpio doesn't want to lose the people that really matter, and will do whatever they can to keep the people they love, happy. Scorpio is one of the most loyal and generous signs. Protective/Paternal: Cancer is here to take care of you and protect you. They look out for you if they love you. With natural paternal instincts, Cancer knows how to provide for others. It makes Cancer happier knowing that they can love and protect the people they depend on. Cancer wants to build a home with someone, and they want to express love on the daily. Cancer is a full-blown relationship sign with so much family-building potential. Caring: Cancer has a good heart and a lot of empathy--they will listen to you. Cancer will be there for you when you need a good friend or require some TLC and some nurturing. Cancer has a "mama/papa" vibe to them. They know how to take care of the bunch. They know how to seek creative solutions and are highly domestic. Cancer is known for being the romantic of the Zodiac. If they love you, they will make you feel special and they will see you through everything. Once invested, Cancer does not scare away easily. Cancer will stay and pick up the last plate that has fallen. 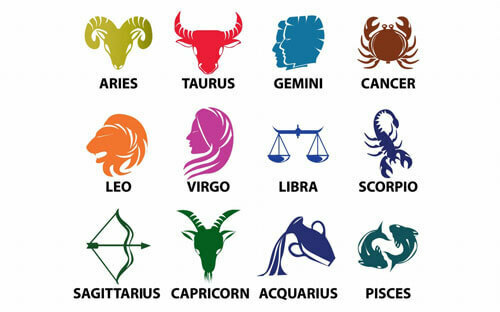 Funny: As the Comedian of the Zodiac, Cancer will make you laugh until you cry. Sometimes they hide behind their humor, but for the most part, they can't help but see the funny side of situations. Cancer knows how to get people laughing and can tell good jokes. Compassionate: Pisces has a lot of heart and kindness. If they care for you, they will really show it. If they're a good fish, they will be exactly that to you, nice. Pisces is very generous and is often the first to admit when they are wrong. They love buying presents and cards for the people they love. They love to make other people happy--this is where they find their own happiness! Creative: Pisces has a creative flare. They can express themselves through good style or artistic projects such as writing, fashion, graphic design, photography etc. Pisces has a unique approach to situations. They aren't basics, and they don't like to follow people. Pisces would rather start their own trends. Insightful: As the physic of the Zodiac, sometimes Pisces can literally read your mind or know what you are going to say before you say it. Pisces has a very strong intuition and is a great judge of character. Pisces will see your good and your bad all at the same time. Pisces can tell what your true motives are. For example, if you offer to give them a ride, they will know if you really want to do this or not. Pisces is very perceptive and is not easily fooled. Every sign has something to be grateful for. Do you agree with the three reasons why others should be grateful for your sun sign? What do you think is your best quality?